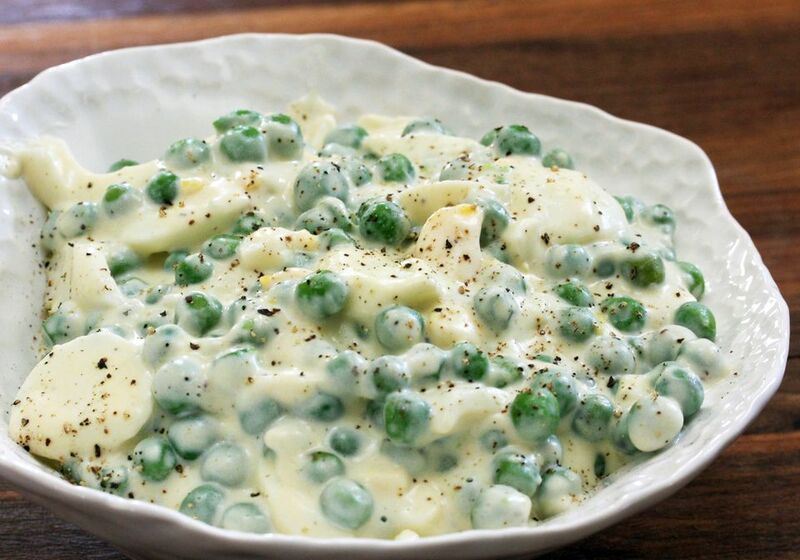 These tasty creamed peas with eggs are delicious on toast or serve them along with a fish main dish or salmon croquettes. The peas would be good over toasted English muffins or split biscuits as well. It's a delicious way to use leftover hard-boiled eggs. Melt butter in a small, heavy saucepan. Add the flour, salt, pepper, and ground mustard, if using. Cook, constantly stirring, for 2 minutes. Gradually add the cream or milk. Stir until smooth. Cook until thickened, stirring constantly. Add the chopped eggs and peas and heat through.